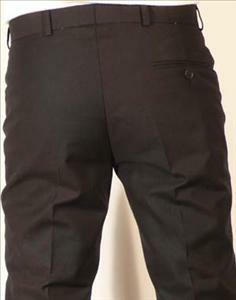 Sta prest style poly-cotton trouser by Jump the Gun. Our own very slim fitting design. 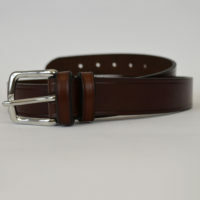 Also available in Brown Navy Beige. Leg length is 32 only with a 15.5 width bottom. We would recommend looking at our sizing guide in ‘help’ before ordering these as they are small. These trousers are very slim in the seat and thighs- please note that if you wear say a 34 jean that you are extremely unlikely to want a 34 in this item. We have a huge number returned as too small. 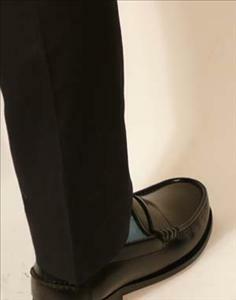 I have several pairs of these classic JTG staprest they are by far the best fitting trousers I have compared to other brands, thety are Very versatile and can be dressed up or down depending on the shoes. As suggested most people do need to size up,. I’m already lean enough wearing a size 29 in a pair of levi’s 501 and the size 30 with these jtg trousers are perfect for me. Definitely no vanity sizing when it comes to these trousers. One suggestion, i think JTG should make a version of these in bootcut which would add to that retro late 60s feel- perfext for jtg’s new line of paisley shirts. Hi John, thanks for your comments. Other readers please take note of John's wise words regarding sizing! Boot cut is an interesting idea- we'll see. Thanks again. Jonathan. Hi John, thanks for your comments. Other readers please take note of John’s wise words regarding sizing! Boot cut is an interesting idea- we’ll see. Thanks again. Jonathan. A Christmas present for my son. Great quality with all the features any mod would want, frog-mouth pockets, quality material and narrow fitting. Thanks to Jonathan for your help and advice, always a pleasure to talk to you. Merry Christmas to all at JTG. Superb trousers and just as good service. I ordered the wrong size (which must be a right pain as they do warn you) but Jonathan was a very patient gentleman and had them exchanged within a couple of days. As a sizing guide for anyone else who’s finding Levi’s 511’s 34″ too tight and 36″ a bit loose, go for JTG 38″! Thanks John. Our trousers can be challenging, thanks for persevering! Jonathan. 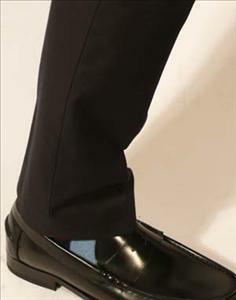 Fantastic fit on these trousers, but remember to size up! Anyone thinking of buying cheaper and inferior st-prest, spend that wee bit extra and get yourself a pair of these – you won’t be disappointed. Hi Mark, thanks for the review, and for reminding everyone about the sizing! I am a mod but I’m only 12 and mod clothes that fit me are hard to come by, and in this case im after some black sta prest trousers and came here to have a look but was unsuccessful and was wondering if you could possibly get or suggest some in a smaller size. If you’re snake-hipped, there’s no need to size up. I was a bit disappointed with these as I too thought the cloth was a bit thin, but FOUR years later these are still going strong, with an immaculate crease, and I wear them a lot too. Unlike Levis, these really are sta-prest! Steve, always nice to hear that an item of our clothing is still going strong after 4 years. Thanks for letting us know. Jonathan. Great trousers. Sent out very fast and came just in time for my interview. Got the job as well, cheers! Not sure that we can take all the credit for you landing the job, but we would like to think it helped! Thanks for letting us know. Jonathan. My first package from JTG and I am SO impressed. Took only a week to get to Australia! I’m quite skinny so I didn’t size up and they fit perfectly. I don’t see how you could go thicker with the fabric. Excellent quality. Delighted with these – excellent quality for the price and a superb fit. Need to echo other comments – definitely go up a size – I’m a 34″ in jeans but ordered these in 36″. Good quality trousers. 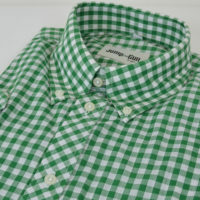 Very smart with a polo, jumper or shirt. 15.5″ hems, just right, but you will need to go up a size in the waist. Prompt service and a reasonable price. I couldn’t be more pleased with my JTG Sta-prest trousers. They look amazing, with a sharp slim fit design. I don’t agree with the last reviewer’s comment of the about the material, I think it’s thick enough for this kind of trousers. 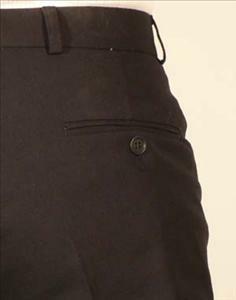 I have a couple sta prest trousers from different mod clothing stores, and they don’t look half as good as these. Great fit, but beware if you’ve got a big bum and footballer thighs. You’ll need to size up and wear a belt. 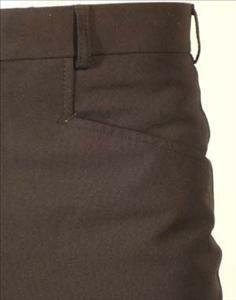 Great sharp trouser, material a bit thin, but all in all great product for the price.